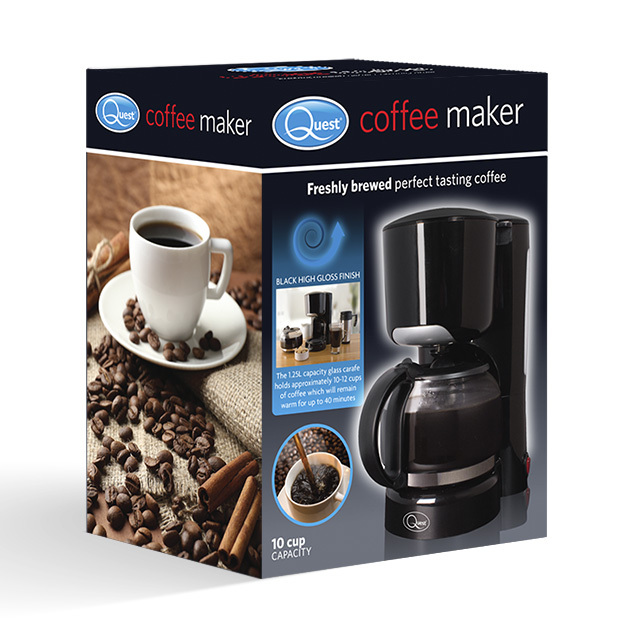 The Quest brand brings you this Filter Coffee Maker. The 1.25L capacity glass carafe holds approximately 10 - 12 cups of coffee which will remain warm for up to 40 minutes! 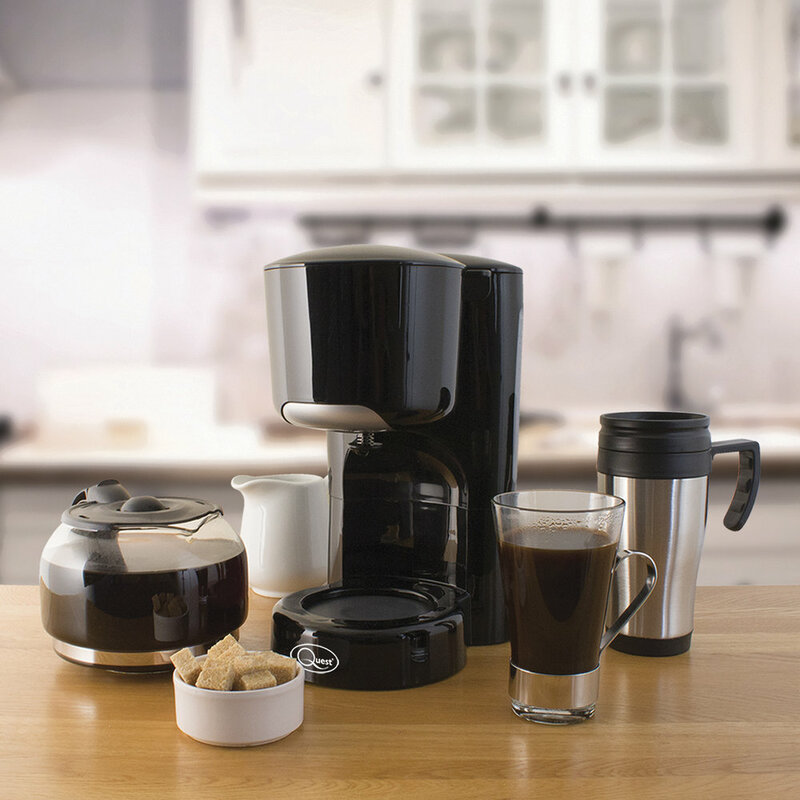 Sleek & contemporary stylish 1.25L coffee maker. This powerful 870W Quest Branded 1.25L Coffee Maker brings you this 10-12 cup filter coffee machine. This classic machine with swing filter holder and permanent washable filter and glass carafe will make great coffee and keep that pot warm for up to 40 minutes so that you can keep coming back for more. Wake up and smell the coffee with this filter coffee machine from Quest. The glass carafe is kept warm by the plate underneath it so you will have a delicious cup of coffee whenever you need it. With visible water level and an anti-drip system for increased convenience. Keeps coffee warm for up to 40 minutes! The 1.25L capacity glass carafe holds approximately 10 - 12 cups of coffee which will remain warm for 40 minutes.